Outside the UK, please click here to go to our online shop. 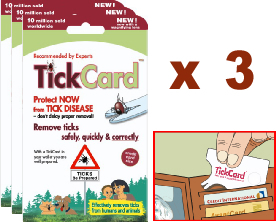 SPECIAL UK OFFER: 3-Pack – Save £2! Never get caught short with this handy special 3-pack offer which even includes FREE 1st Class UK postage. Get cards for your car, your wallet/bag, your bathroom. Or get some extra for your friends and family, garden or cottage. 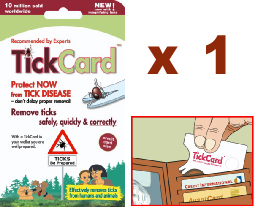 Practical money-saving multipack and FREE 1st Class UK postage. Regular price £11.85 Special price for this 3-pack offer: £9.85 – Save £2! Stay Safe – always have one with you! To order from anywhere OUTSIDE the UK, please click here to go to our online shop. This shop will ensure the correct postage is added to your order as we can offer free postage for only inside the UK. We refund incorrectly placed orders.